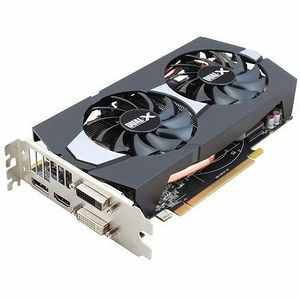 The SAPPHIRE R7 265 Dual-X has 2GB of the latest DDR5 memory clocked at 1400MHz (5.6GB/s effective) and core clocks of 900MHz (925MHz with dynamic boost) to deliver new levels of performance in its price segment. Performance is optimised with the latest version of AMD's PowerTune technology. 2X75 Watt 6-pin PCI Express power connector is required for CrossFireX™ system. 1X75 Watt 6-pin PCI Express power connector is required. 600 Watt Power Supply is recommended for CrossFireX™ System.